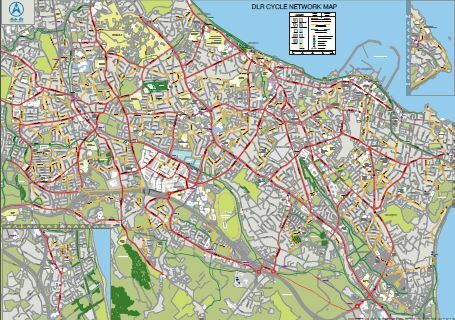 This somehow passed us by: Dun Laoghaire-Rathdown County Council recently held a public consultation on their extensive draft Cycle Network Map (PDF). 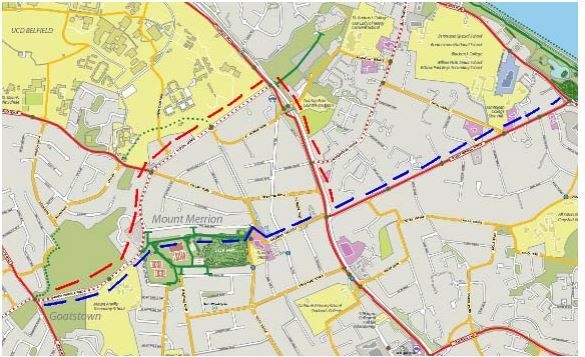 It’s from the county’s Cycle Network Review and designed to show the public current cycle routes and planned ones. Green Routes are completely separate from traffic and are ideal for leisure trips or for young children learning to cycle. 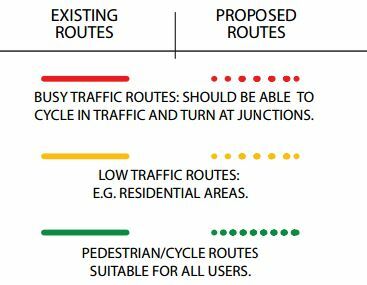 Please note that these routes are often used by pedestrians and cyclists should give them priority at all times.